Depok is located in the bordering area between Jakarta and West Java Province. As an impact of fast growing development of Jakarta, modern landmarks were also established. It is now becoming the key areas that have created a mutual relation with Jakarta in the sense of economics, political, socio-cultural aspects and also be characterized as a campus town. 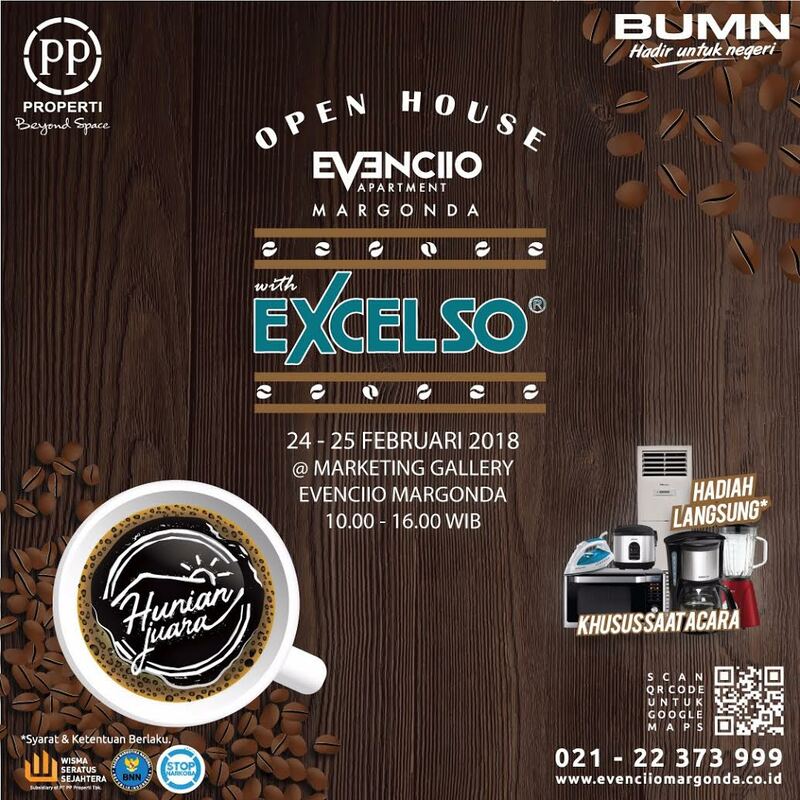 "Home of Inspiration Place of Success"
Exterior design of Evenciio Margonda Inspired by Rubik's cube Because we can get another from when plat People who always playing Rubik's cube can get benefit, Such as Pleasure, Fun, and Enjoyment. It is a bulding created a very modern and very dynamic. So these apartemens have characteristics that strong technology. As well as Depok City is a city full education with students and young people feel like working and learning in order to achieve its goals. Please download our E-Brochure for further information about Evenciio Apartment Margonda.